A 29-year-old tourist was pronounced dead after being pulled from the Bogue Sound less than a week after another drowning in Emerald Isle. EMERALD ISLE, N.C. (WTVD) -- A 29-year-old tourist was pronounced dead after being pulled from the Bogue Sound on Friday less than a week after another drowning in Emerald Isle. Captain Stuart Gilgo with the Emerald Isle Police Department said a call came in after 2 p.m. Friday about a man near the Emerald Isle Bridge, reported WCTI. Upon arrival, Emerald Isle Fire Department, EMS and the U.S. Coast Guard found friends of the man performing CPR. The man was taken to the U.S. Coast Guard Station and Carteret Health Care where he was pronounced dead. 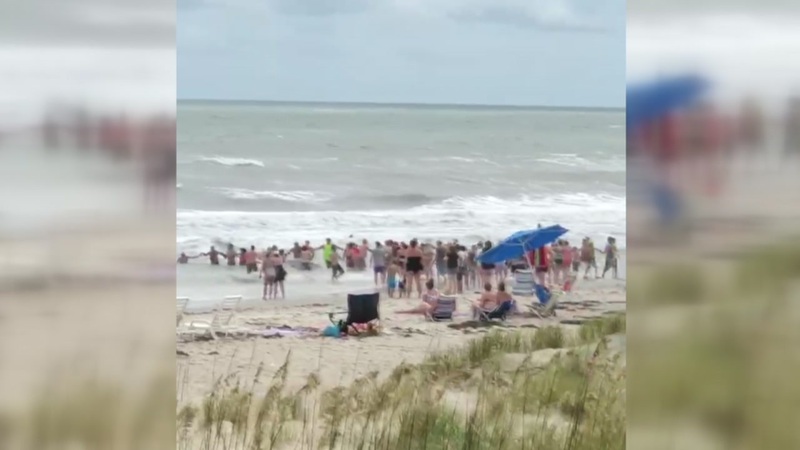 This is one of several reported drownings during the past few weeks in Emerald Isle. A 41-year-old man drowned and several others were rescued as the coast continues to see strong rip currents.